The grass is not always greener on the other side. You will be the envy of your neighborhood with this gem. 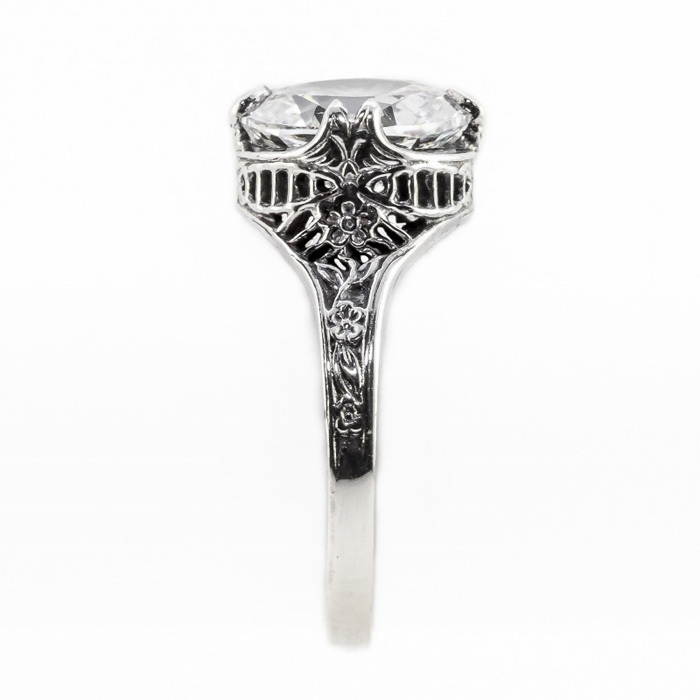 The world renowned jewelers of Apples of Gold has hand crafted an Edwardian inspired women's ring that resembles estate jewelry of royalty. 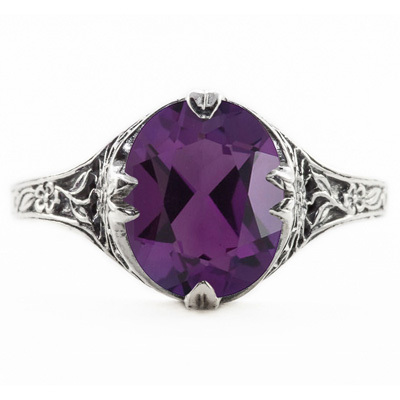 The oval amethyst is set in the highest quality sterling silver. A classic and elegant design measuring 10mm x 8mm, this sterling silver amethyst ring is stunning. This glamorous Edwardian style ring, with the oval amethyst gemstone is graceful and romantic. A true fashion statement. We guarantee our Edwardian Style Floral Design Oval Amethyst Ring in Sterling Silver to be high quality, authentic jewelry, as described above.